crafting with katie: Floral Fun! This card was inspired by the blossoms on the plum trees that are in our area. I love the soft pink with the scarlet color in the center! 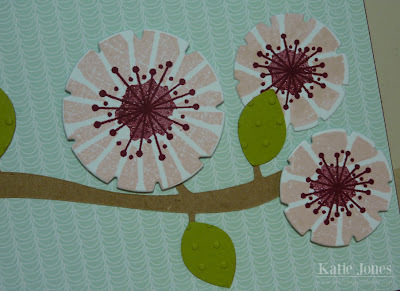 To make this card, I started by cutting a branch and leaves from the Cricut Straight From the Nest cartridge, at 2 1/2". I ran the leaves through my Vagabond with the Cuttlebug Swiss Dots embossing folder. 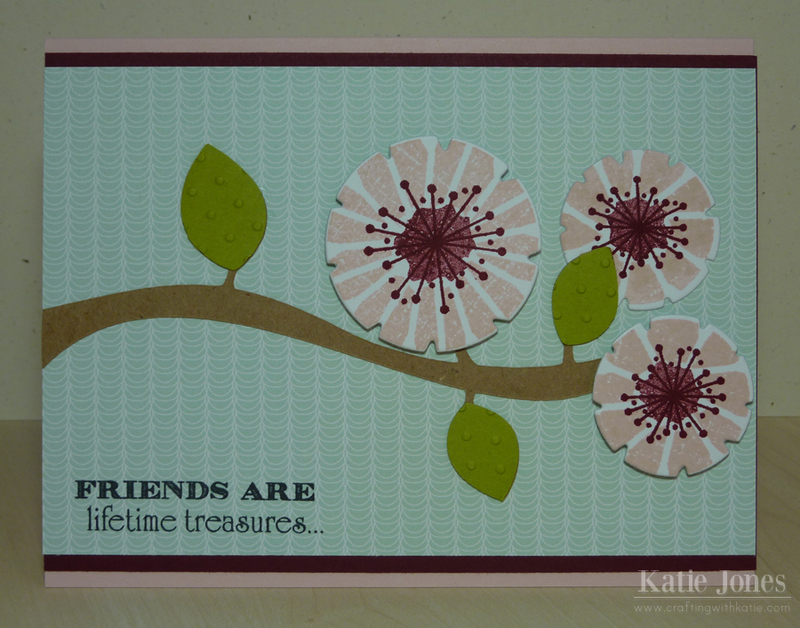 My flowers were made with the Papertrey Ink Notched Flower Dies and stamped with PTI's Funky Florals stamp set. I popped a couple of them up with dimensional adhesive. The pretty background paper that I used is from Echo Park's Bundle of Joy: Girl 6 x 6 pack, which you can find at Liz's Paper Loft Boutique. I'm loving the patterns in the two Bundle of Joy packs; they aren't just for baby! 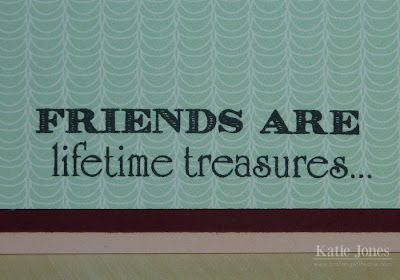 This beautiful sentiment is from My Creative Time's More of My Favorite Sayings stamp set. very nice, love the flowers !!! The soft colors are so pretty! Flowering Plum is one of my favorites to see in the spring...wish the flowers lasted longer. 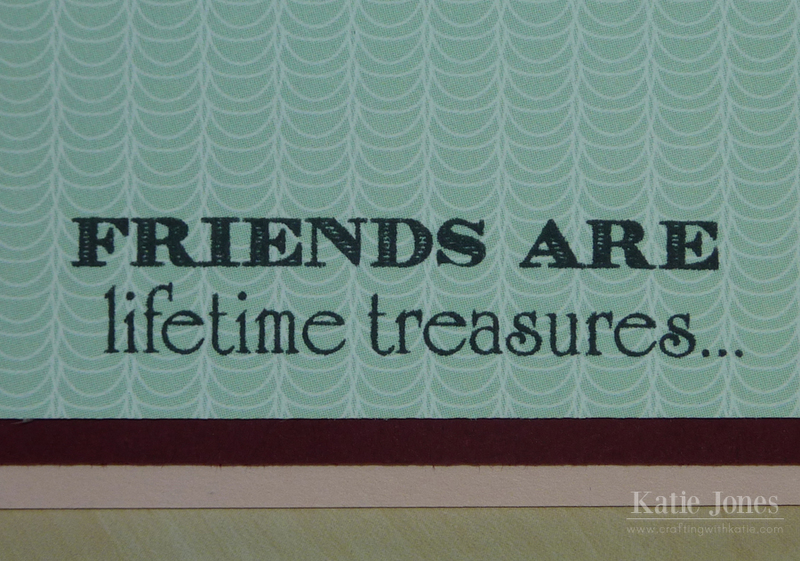 Katie ~ Oh what a BEAUTIFUL card! I LOVE the inspiration ~ since we have 2 plum trees!! They totally look like this right now! The sentiment goes PERFECTLY with this card! GORGEOUS!!! So pretty!! love the colors and the sentiment too! !